The Reversible Crankset Vest changes gears nearly as fast as the derailleur on your mountain bike and stuffs into its own pocket to make a comfy pillow. For day-to-day, around-town use, one side of the Crankset has an urban aesthetic, while the other side reverses to feature a technical polyester ripstop shell with reflective detailing on the shoulders, back yoke and left-chest logo. 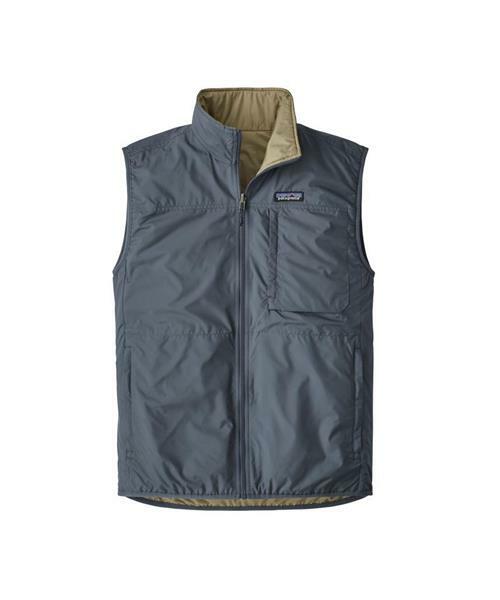 However you wear it, this versatile vest warms up cool mornings with a soft, compressible layer of 40-g Thermogreen® polyester insulation (92% recycled) that holds in the heat, blocks wind and dries quickly. The 100% recycled polyester taffeta shell fabric has a DWR (durable water repellent) finish to block moisture and increase abrasion resistance. Details include a full-length center-front zipper, a stand-up collar, two side-entry pockets (the right pocket converts to a stuffsack) and a left-chest pocket that’s headphone compatible. Both sides have comfortable elastic binding on the armholes and hem and a back vent for breathability. Hip length. Fabric is certified as bluesign® approved. Reversible Crankset Vest - Mens is rated 5.0 out of 5 by 1.